A chapter of the United States Pony Club will be opening in Santa Fe and this is truly wonderful news for children who are interested in horses and riding and for their parents. The United States Pony Club is a national organization (Pony Club itself is international with clubs in the United Kingdom and other European countries) with local clubs in every state and national headquarters at the Kentucky Horse Park in Lexington, Kentucky. 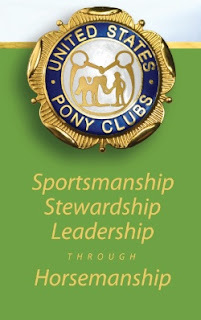 Children ages 8 and up who join USPC learn safe, responsible riding and horse care and take part in organized horse rides and activities with others who share their love of horses. The new Santa Fe Pony Club is sponsoring a fantastic horse camp this summer which will take place at Goose Downs Farm in Galisteo. Children do not need to own a horse or belong to USPC to participate in the summer horse camp. They will ride (at any level), learn horse care, play mounted games and have a swim party! Some of my daughter's best summers were spent at week after week of horse camp and some of her closest friends were made there. You can find a lot of information about USPC at www.ponyclub.org. For more information about the horse camp or the new Santa Fe Pony Club please contact Jeffray Ryding at MJRatGDF@aol.com.